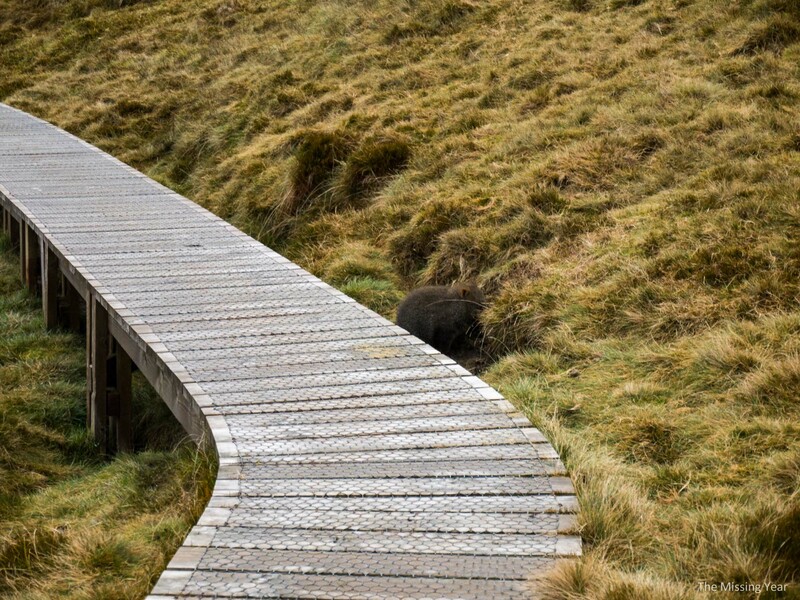 I approached the juvenile wombat very, very slowly. 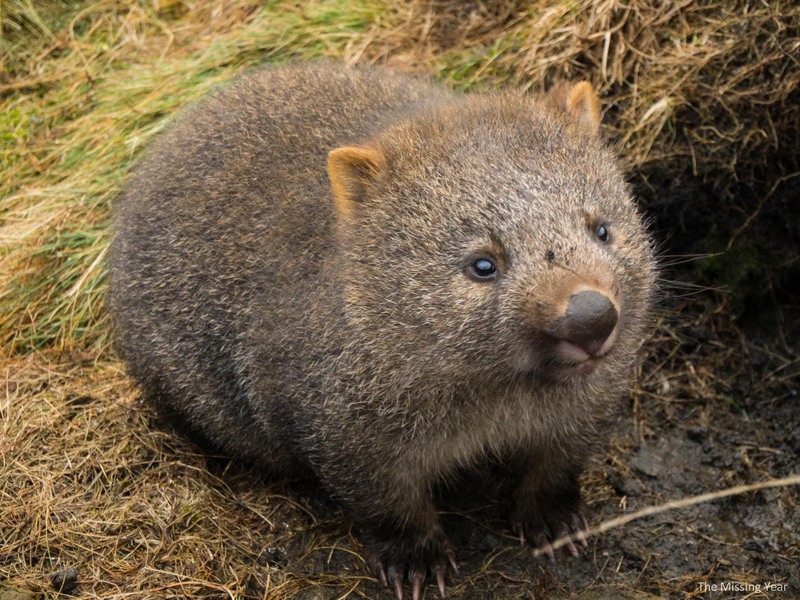 Wombats don’t have the greatest senses in the world – I hoped that if I moved slowly enough, I’d be able to get close without spooking it. With each step I got closer, paused, took a picture or two, and took another picture. Finally, I got close enough to be at the edge of the boardwalk. I slowly crouched down. 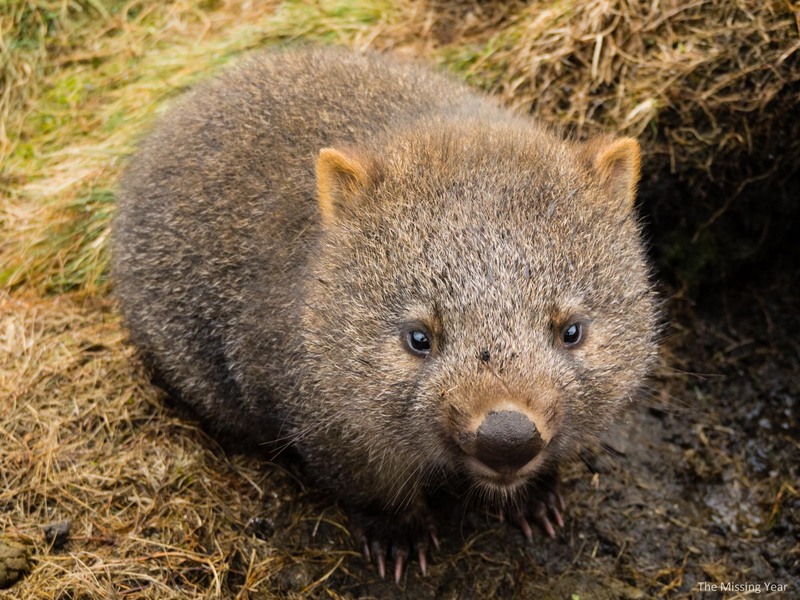 The wombat could tell I was around, but I’d been moving slow enough as to not be considered a threat. So cute! 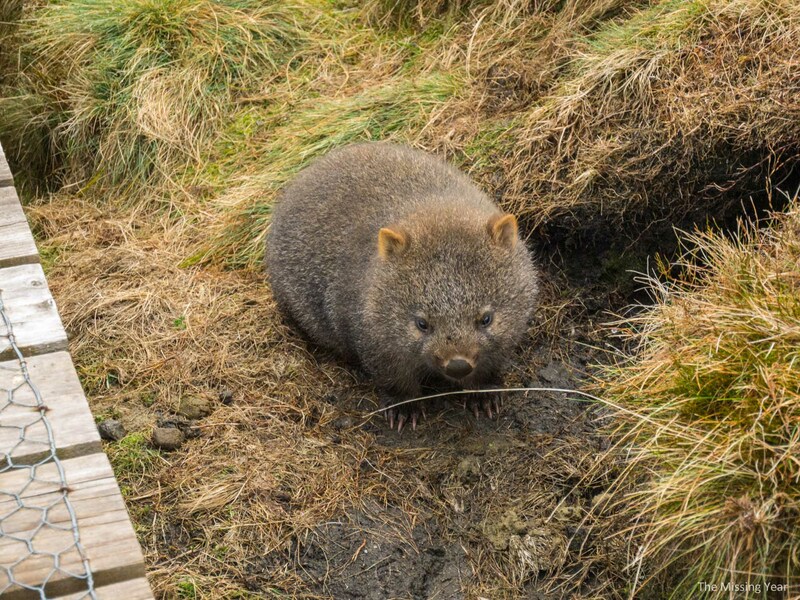 It had taken me 3 minutes to walk 15 meters or so, but it was worth every second to get this close to a wild wombat! Slowly I got back up and moved away from the juvenile, at which point he scurried into his burrow. 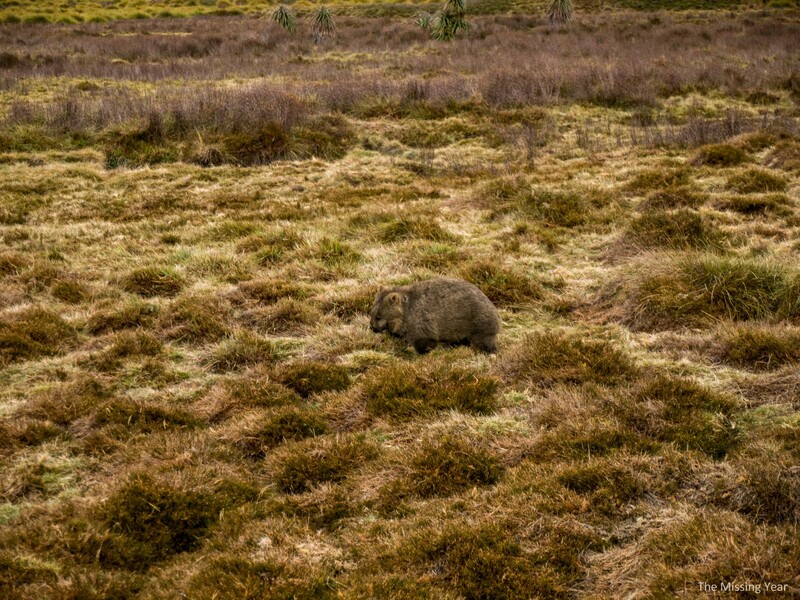 It didn’t take long for me to find other wombats though, including this large one nearby. The light was starting to fail for the day, so at this point I started heading back to the shuttle pickup point. They stop running around dusk, and it would be several hours of hiking to get out, so you don’t want to miss the last bus! One last shot of the beautiful Cradle Valley. I retired to my cabin for the evening, highly satisfied with my adventures that day. 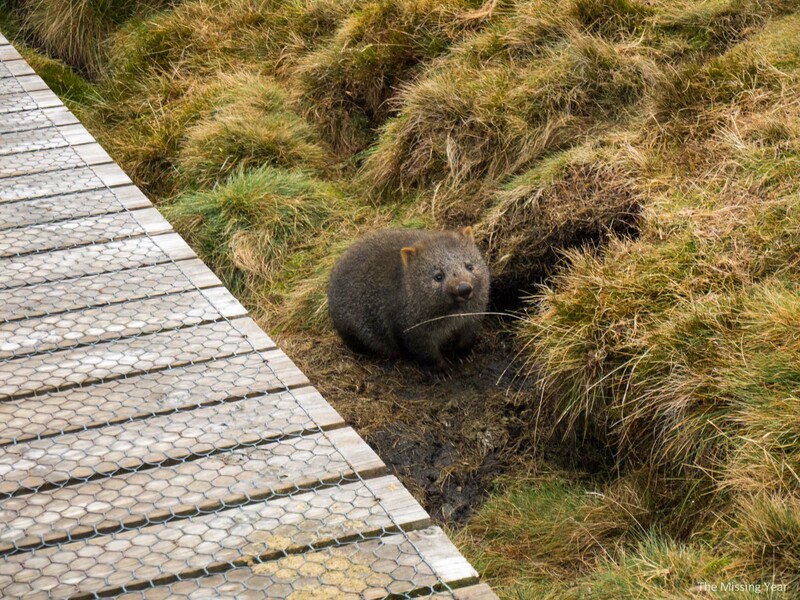 I’d not only gotten a close-up of a wild wombat, but also got to see all of the peaks of Cradle Mountain. Very successful! That evening, I had a visitor to my balcony. 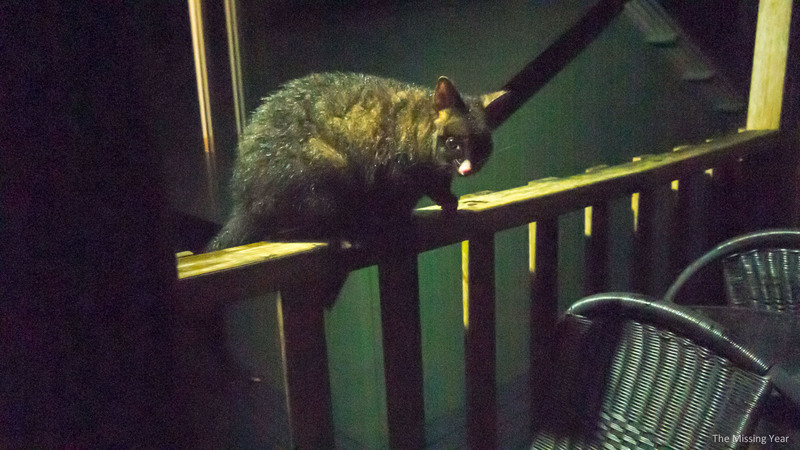 I heard scratches and rustling, and this guy greeted me when I opened the blinds. He didn’t stay too long. 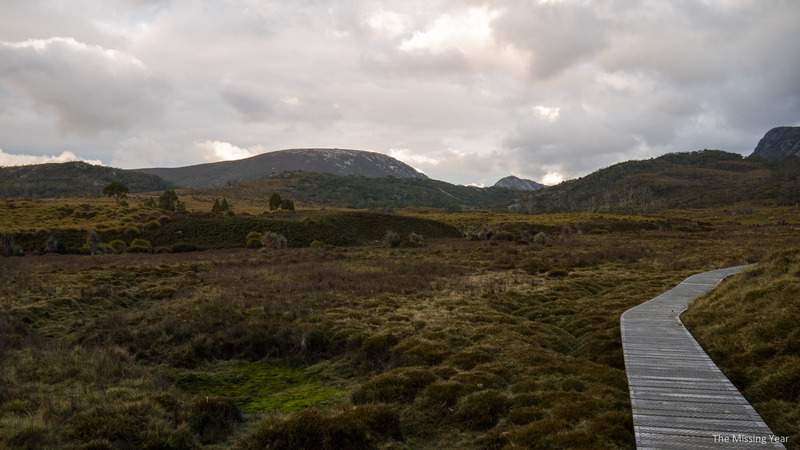 I settled in for a quiet night in the remote wilderness of Tasmania. The next morning would see thick fog surrounding me on all sides. Deciding I had seen enough, I ventured towards Launceston, in anticipation of my flight to Sydney and reunion with Tam. 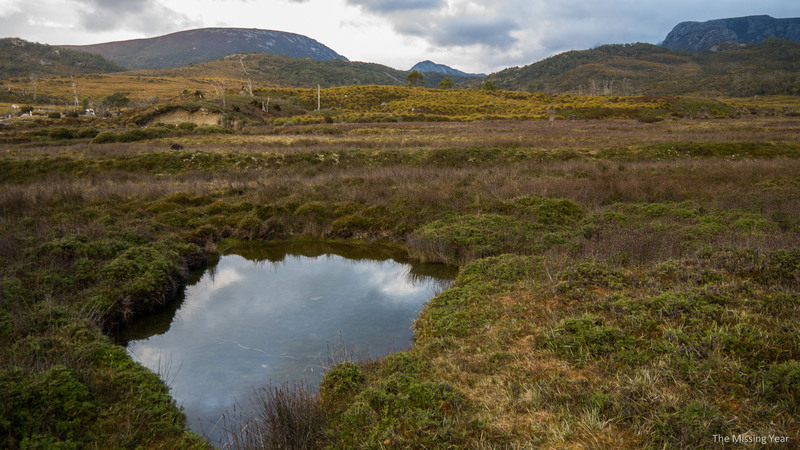 One final hike in Tasmania remained.